It's time to gear up for 50 Bikes for 50 Kids! 2018's event was a success thanks to the 200+ volunteers who took time to give back to this community. In all, 273 volunteers donated 936 hours to the event. That's something to be proud of! We can't wait to see our smiling, happy volunteers again! 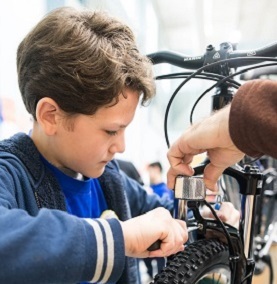 We are looking for volunteers to build bikes with kids, fit helmets, breakdown cardboard boxes, distribute locks, and of course, be mentors and role models. 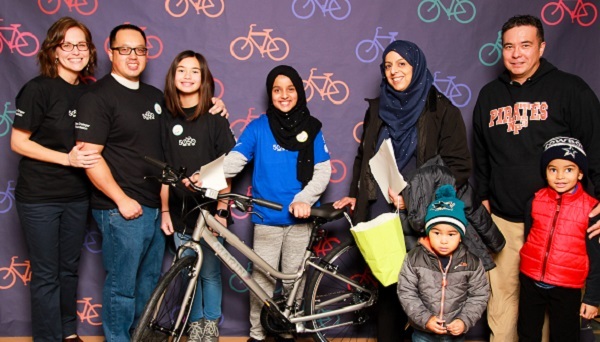 We hope you will join us Monday, January 21, 2019 for the 7th annual 50 Bikes for 50 Kids event. Donations are vital to the success of this event. Everything from the bikes, to the helmets, to snacks and t-shirts are covered by the generosity of others. Please consider giving what you can. If you have questions about donations, contact Abbey Stumpf at abbey@jibe.org or 419-9955. 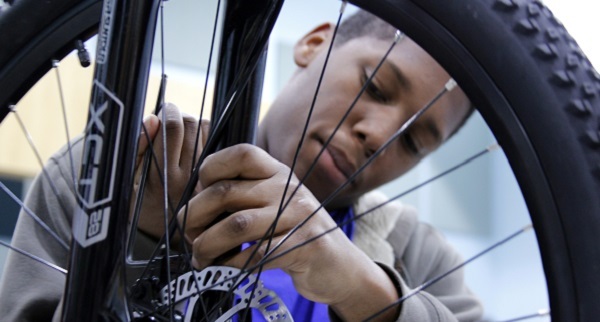 Special thanks to the Natomas Bike Shop who has pledged to support 50 Bikes for 50 Kids for the 7th straight year! Being selected as a 50 Bikes for 50 Kids recipient is an honor. That's why we want to hear about students in the North Natomas community who exemplify what it means to be a good citizen. We are currently looking for admirable kids to be nominated for 2019's event. Eligible youth are nominated by teachers, coaches, counselors, pastors, employers, and troop leaders; anyone who works as an adult mentor and role model to these exceptional students. Is there someone who stands out in your mind? Here's the chance to reward their actions and teach them that the good work they do is noticed and appreciated.